You have seen people say to meal plan. They make dry erase boards all over Homegoods specifically for it. But why do it? The simple answer is to save time and money. You can sit down and spend thirty minutes one day and then not have to worry about what you are cooking all week. Money is saved when you have a game plan for what to cook for dinner each week, eliminating expensive takeout meals. Not to mention the savings from eating the food you purchased instead of throwing it away because it went bad before you got around it. I was VERY guilty of this before I started meal planning. It’s always good to have a plan. Over the years I have tried all sorts of ways to meal plan. I tried monthly meal planning, meal prepping one meal to eat for a whole week, and several others and, unfortunately, none of them worked. I was bored eating what was suggested, felt locked into what was there and it just failed. Vegetables were in the trash and we were eating take out. I knew there had to be a better way, so I started working on a simple, visual method to help me keep to a the plan. I joined a CSA right about that time, which supplied me with a bounty of vegetables. Staring at that fresh produce, I was bound and determined to not let it go to waste. 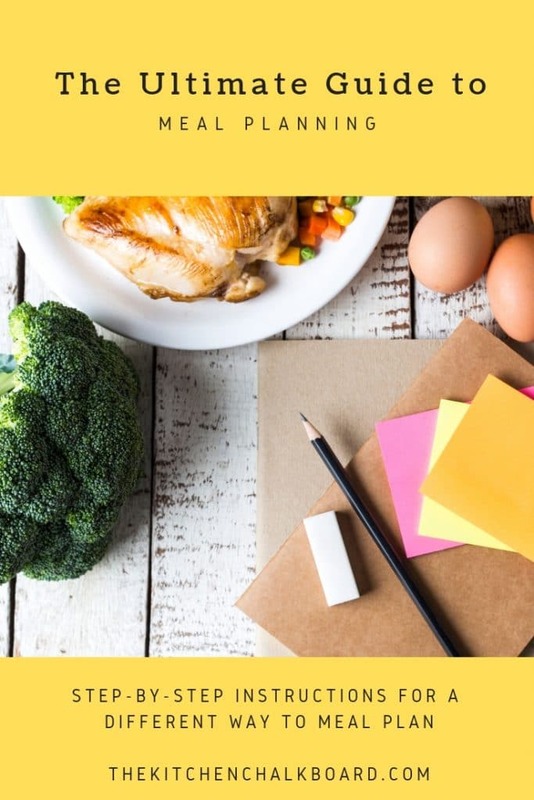 This Ultimate Guide to Meal Planning Suggests a Different Approach. Most of the time, when you are thinking about what you want to eat, you probably think about what protein you want. You know you want steak for dinner, and what are you going to serve with that for instance. I’m going to suggest you look at things differently here. According to the USDA, a healthy plate should consist of half fruits and or vegetables, quarter grains, quarter protein and, sometimes, a small amount of dairy. Why are we making something that only takes up a quarter of the plate the star of our dinners? When you think about the vegetable you are making for dinner, it becomes the main focus of the plate. Make the food delicious and you will naturally want to eat more of it. This method of meal planning does just that. When is the Best Time to Meal Plan? 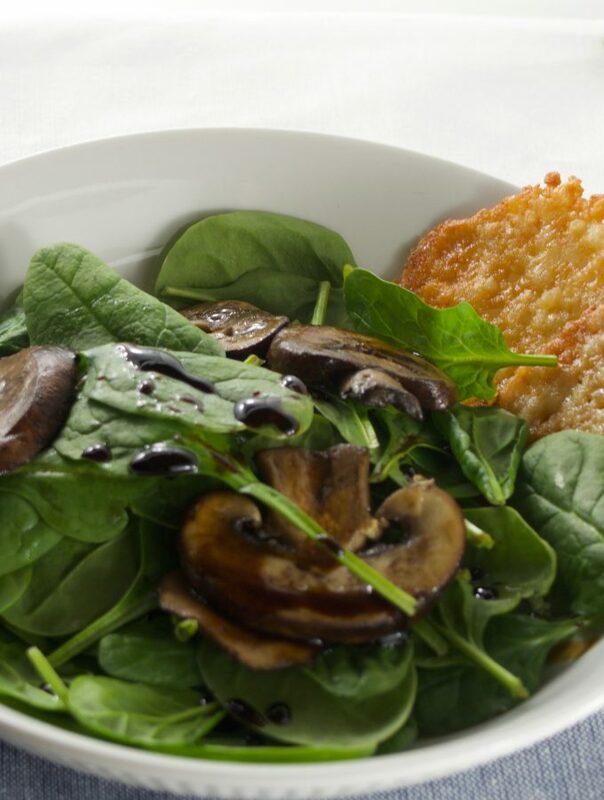 You can plan your meals almost any day of the week. Most other methods suggest you do so on Sunday evening. I suggest you sit down during the middle of the week and meal plan. This gives you more flexibility. Most of us are home more during the weekends. So if you meal plan and food shop during the middle of the week, you will have plenty of food in your house on Saturday and Sunday, when you are most likely to be home. People come over and laugh at my refrigerator on the last day of my meal plan. It looks like a traveling bachelor lives here. The fridge consists of baking soda and condiments. The fresh vegetables are almost all used up. This is a wonderful thing! This method focuses on one week at a time. Your schedule dictates the time you have to cook and so you need to plan your meals around that. We also all want healthy meals to prepare so incorporating fresh vegetables as much as possible is paramount and fresh food has a limited shelf life. And I don’t know about you, but I have no idea what I want to eat next week let alone the next month! You don’t need many supplies to be successful but the basic premise of this method revolves around a chalkboard. It doesn’t need to be a chalkboard, it can be a piece of paper or a dry erase board. You just want something that you can hang in your kitchen that you can refer to and easily update as you go. If you are using a piece of paper, perhaps you write in pencil so that you can erase the produce as you use it up. This eliminates the need to recreate your inventory each week. You will be making your shopping list as you plan for the week. 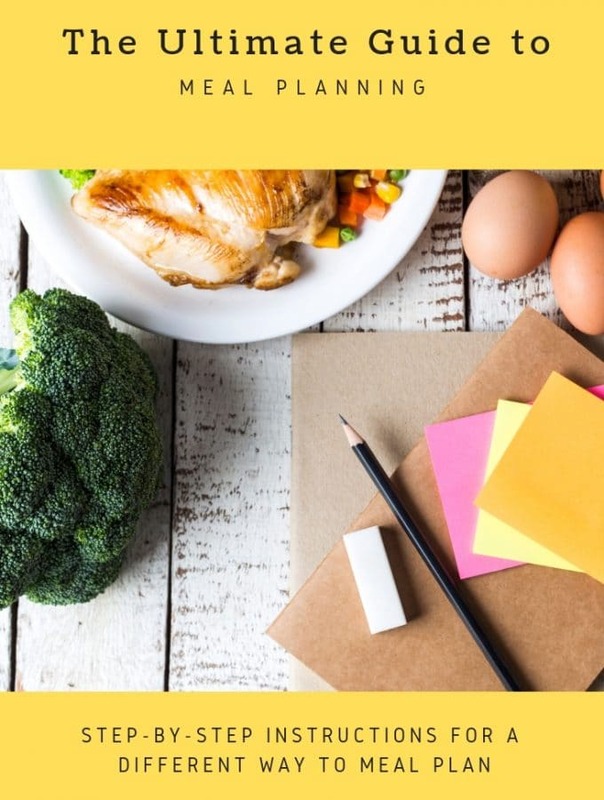 I’ve found that the best place to meal plan is in your kitchen so that you can check your pantry, fridge, etc. for ingredients as to not buy things you already have (another money-saver). You can read all about what you need for a well-stocked pantry here. Take inventory. Look around your kitchen for all the vegetables you currently have on hand. On the left-hand side of your chalkboard, write them all down. Put a mark next to anything that you need to use up fairly soon. Check for any leftovers you have currently in the refrigerator. If they are still good, write them down in the center of the chalkboard. Look at your calendar. Take note of any activities or events that affect your dinner plans. Are there any nights you don’t need to cook? Any that are especially busy? Keep this in mind as you move to the next step. Plan for five dinners. On the right-hand side of the chalkboard, write down the days of the week you are planning for. Note any info you found from your calendar under the appropriate day. Select your vegetable recipes. Taking into account which vegetables you need to use up first, and that you want the vegetables to be the star, search for recipes. 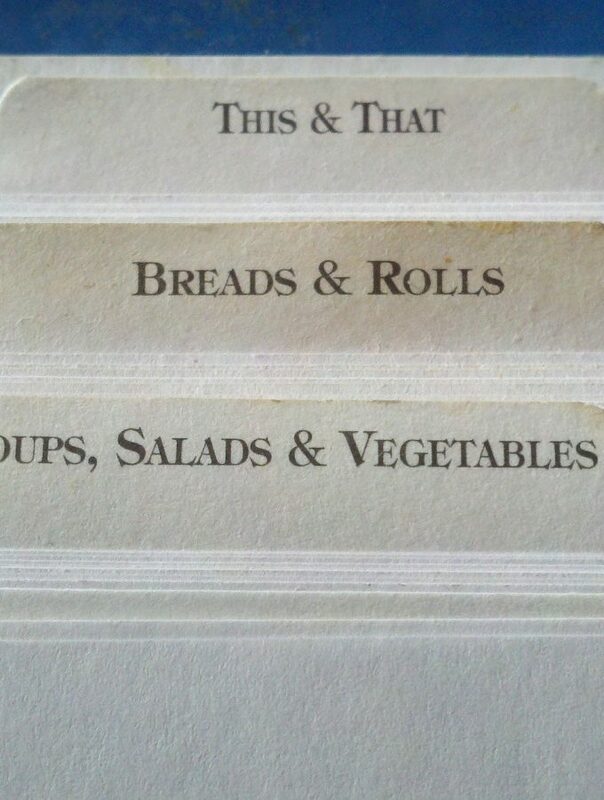 Write those recipe names under the day you will cook them. Next, fill the super busy day up with a 20-minute meal like our weeknight ramen. Continue to fill in the remaining days. Determine your proteins. 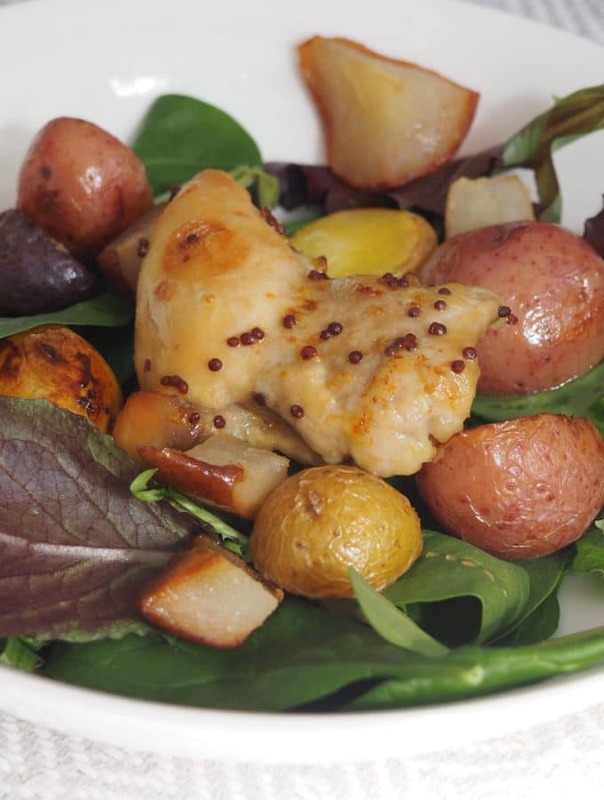 Any recipe that doesn’t include a protein and you would prepare one for that night. Go ahead and add it to your plan. As a guide, I shoot for two nights of chicken, one of pork, one of beef, and, one of fish/vegetarian. Review your selections. Now take a look at your week as a whole. Are you eating the same thing every night? I love chicken and pasta but I can’t eat it every night. Vary your dishes if needed. Make your shopping list. Look at each recipe and write down what you need to prepare it on your shopping list. Double check your pantry to see what you have on hand and what you need. Update your chalkboard. 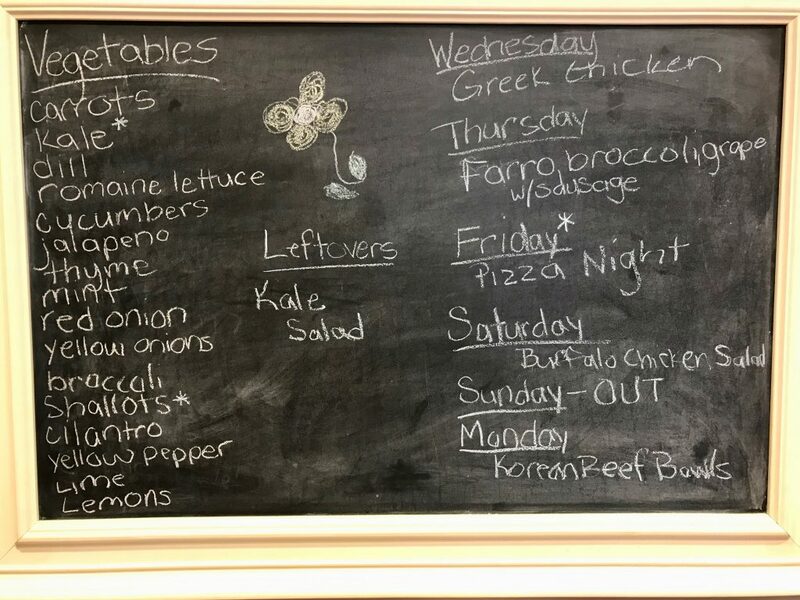 After grocery shopping, write down the vegetables you purchased on the chalkboard. Doing it after shopping ensures you have an accurate list. Review your chalkboard as the week goes on. Each morning (or evening if you prefer), go to your chalkboard and look at what you will be cooking for dinner. If frozen, place your protein the refrigerator to defrost. Take note of any leftovers. Maybe you take one for lunch? Is there meat leftover that you can serve in place of one you planned? Progress. 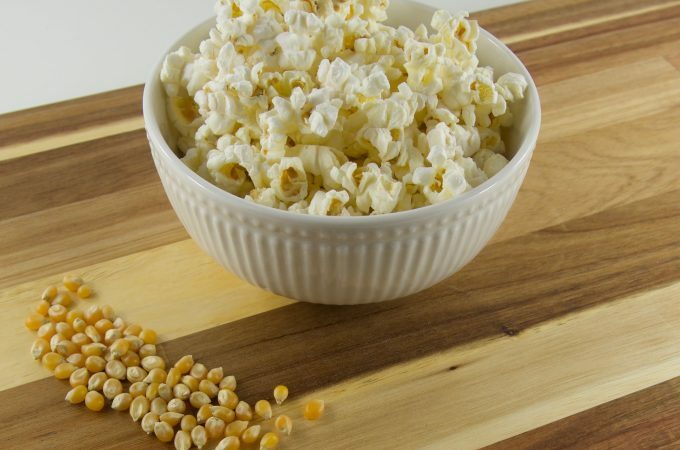 Erase the leftovers vegetables that you have used up and add any new leftovers to your chalkboard. Meal planning is made much easier when you have a large group of recipes to pull from. It really helps to have them organized so that you can easily find what you need. This post can help you do just that. 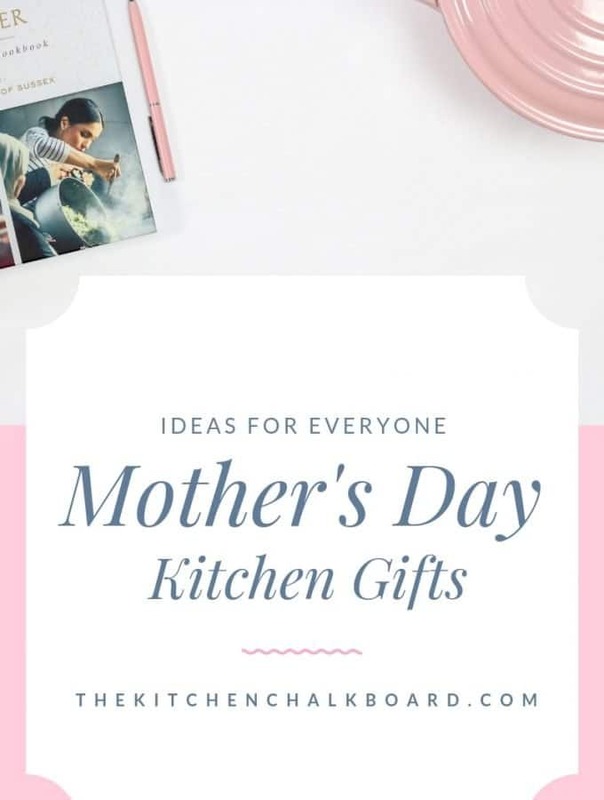 And if you don’t have any recipes you love just yet, you can check out our Pinterest boards for ideas and inspiration. Still don’t know where to start? How about one night a week that you can make the same thing? We love Taco Tuesdays here. Pick one thing that everyone loves to eat that you can easily vary — you don’t want to get bored. Other ideas are pizza night, BBQ night, Breakfast for dinner. One weekly night selected boom only four recipes to choose! Need even more inspiration? 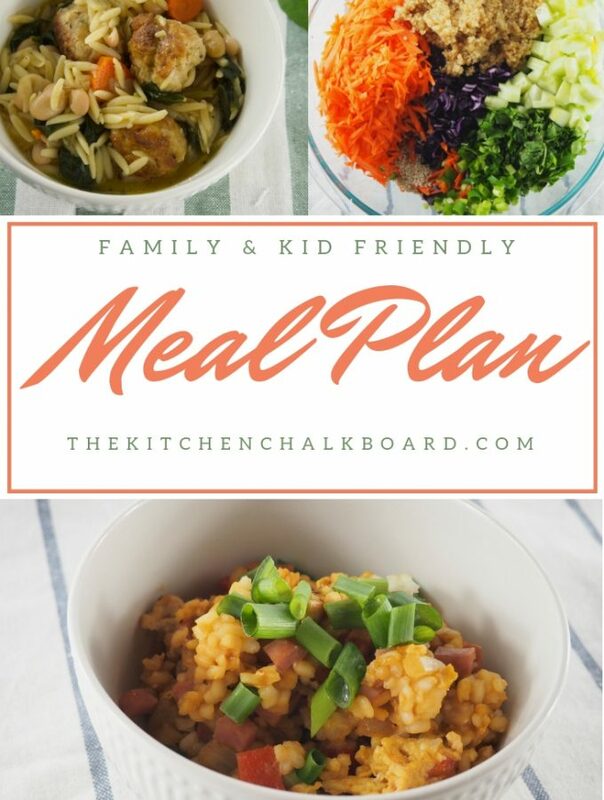 Check out our Family and Kid-Friendly Meal Plans. Even though you have picked days for meals, if your schedule allows, feel free to cook the recipes on any night you wish! Some days you just don’t want to eat what you planned for, that’s ok! Flexibility is a good thing. There you have it. 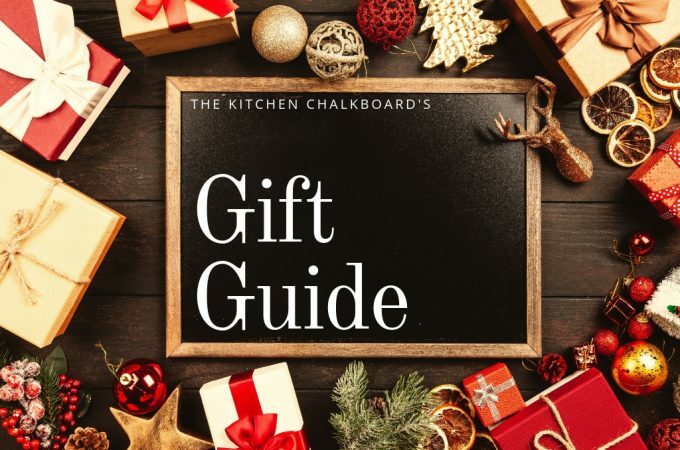 The Ultimate Guide to Meal Planning — the Kitchen Chalkboard Way! Try it this week and let me know how it goes. Any questions? Comment below and I will be sure to help in any way I can. Happy meal planning!